Middle school students meet in the Student Ministry Building from 4:45 – 6:45 p.m.
High school students meet in area homes from 5 – 7 p.m. grouped by grade and gender. See below for locations. Middle and high school students meet at the Missouri City campus from 7:15 – 8:15 p.m.
Connect Groups are small groups where students are intentionally challenged to grow deeper in their relationship with God and each other. This welcoming atmosphere provides a place for students to grow in their relationship with God and with others. In addition to Biblical teaching and discussion of life application, an accountability aspect is added to allow students to help each other in their walk. These groups become so connected that life long friendships can be developed. Students in the 6th – 12th grade are encouraged to join a Connect Group of the same age and gender to grow deeper in faith as a community. We view this connection as the most important one for students to establish. The friendships, mentoring opportunities, accountability, Bible study, discussions and prayer are very valuable in learning to follow Christ day by day. 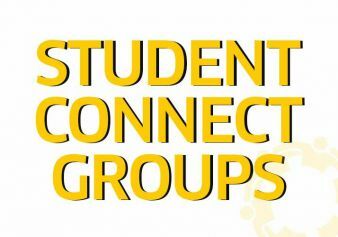 Connect Groups – 7:15 – 8:15 p.m.
“Sunday Night LYF” is student worship and Bible study! We’re very excited about this stage in the Missouri City Campus Student Ministry and we’re looking forward to what the Lord has in store for the students at Sugar Creek Missouri City. Students grades 6th-12th are invited. If you are interested in serving in the Missouri City Campus Student Ministry, please contact Chris at csquire@sugarcreek.net.